I'm packing up for Boston ("shipping up to Boston" as the Dropkick Murphys and Jonathan Papelbon would say), or rather for Swampscott and Marblehead on the North Shore, and this drink made me think about going home for the Fourth of July. 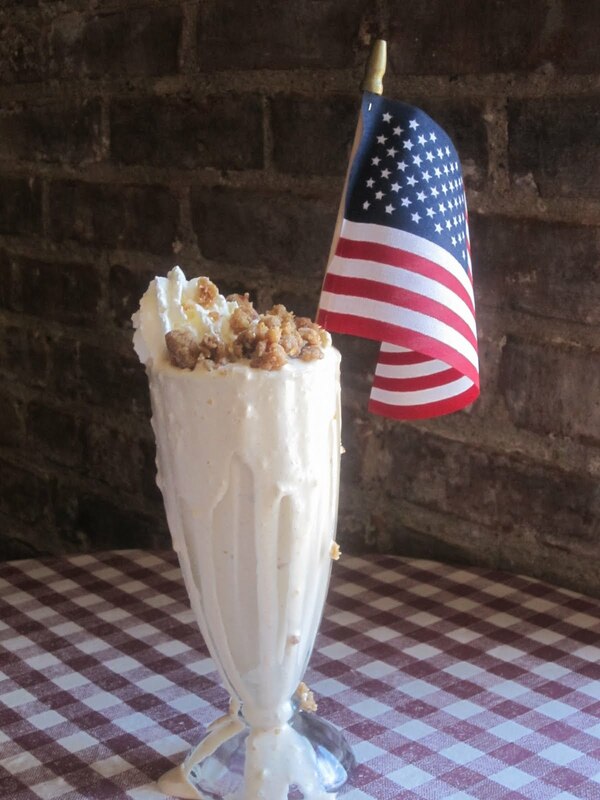 In honor of our great nation’s Independence, Bill’s Bar & Burger is featuring a frosty Apple Pie Milkshake. For more bang, add a shot of your favorite booze like Calvados or vodka. I'll be visiting Bill's again soon to evaluate their Classic burger for my upcoming review on All New York of best burgers in NYC. Stay tuned! Bill's is located at 22 Ninth Avenue, New York City.